Mexican immigration authorities have reformed the Mexican laws with proper documentation regarding the travel around Mexico. Mexican government charges a travel fee for visitors. Visitors of all nations require a passport to travel around Mexico. Travelers from the US and Canada have to produce alternative evidence as document of identification instead of passport. Visitors should produce necessary documents like citizenship, birth certificate, passport along with the photo ID while entering Mexico. Travelers should mention their purpose of visit to the immigration officials if needed. US and Canadian citizens do not require tourist card visits less than 72 hours. Non-Immigrant visa are intended for individuals who wish to visit for specific reason. Immigrant permit is for individuals who wish to become permanent residents of the country. Mexican government provides flexibility as one need not surrender natural citizenship to get permanent resident status. You can enjoy all the benefits entitled under the full resident status in Mexico but are exempted from voting in Mexico elections. Tourist visa is mainly for those who intend to travel around Mexico. They are offered a tourist card known as migratory tourist form (FMT) which is valid for six months. US citizens crossing the border limits should carry the tourist card along with them. The fee for the tourist card is usually included in the airplane fare. The applicant can get tourist card at Mexican consulates and travel agencies. Tourist traveling Mexico under limit with less than seventy two hours do not require tourist card. FM2 immigrant visa are granted to the individuals who are immigrants but are eligible for permanent resident ship in Mexico. 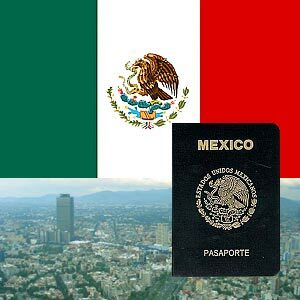 Short term visitors to Mexico usually opt for FMT non-immigrant visas. When the permit to the FMT is assigned for less than 180 days, it can be extended to the maximum by visiting the local administrative offices by paying fee for completed document. Foreigners who conduct business regularly in Mexico should possess business visa either FMN or FMVC or working visa. These visas can be chosen according to the needs of the individuals. FMN visa is for individuals who wish to travel less than 30 days in Mexico on business. FMVC visas are for permanent residents of US and Canada nationals wishing to travel in Mexico for less than 30 days. If the person intends to stay for a longer period on business, a FM3 visa can be applied for. This visa gives a temporary residency status to non-immigrant who wishes to stay for longer period. FM3 visa is renewable up to one year. But, this visa cannot be considered as visa of permanent resident. Under the norms of FM3 visa, individuals are allowed to undertake only certain activities which are specified. When FM3 visa is granted, it can be renewed for another four years for a total of five years. On completion of five years, a new visa can be applied for which is valid for another five years with yearly renewal. FM3 visa cannot be exchanged automatically with FM2 permanent visa. FM2 should be applied for separately. For minors who are traveling in Mexico, it is necessary to posses a letter of content signed by parents with vital information such as contact details where they could be reached in case of emergencies, birth certificate and detailed information about the child's trip. An affidavit of identity is vital with proper information about the child even when parents are traveling along with them. If the minor is traveling under the custody of guardian, then they should carry appropriate statements. Student visa are issued for applicants who wish to study in Mexico. A FM3 non-immigrant visa is granted to the students when he/she provides substantial bank documents and funds as proof of their ability to live self sufficiently. The visa is provided by the respective consulate. If their courses are intended to be less than six month, they can take up FMT tourist visa. Students who are less than 18 years should carry authorized letter of consent from their parents. The documents should posses vital information like parents/guardian address and contact details needed for emergency situations. Valid passport with validity of minimum six months. Proper documents showing that the person is engaged in business activities. Should provide necessary documents, letter from the organization clearly mentioning purpose of visit. Letter from the ministry stating that the information provided by the applicant is authenticated. Two passport size, color photo. Passport with validity of minimum six months from the intended stay. Acceptance letter from the institute where the student is going to study. Document of economic solvency should be notarized and presented by the parents with proper bank statements.